This month I’m taking a break from our regular interview series to interview myself, Meredith Davis, TA-DA! Samantha Clark, our current Regional Advisor, asked if I could do an article about our Austin SCBWI chapter beginnings, since we’re on our 20th year as an SCBWI chapter and I was the first Regional Advisor. I hope you enjoy this peek at our origin story. How did you find out about SCBWI? 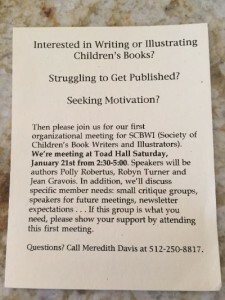 I was working at an independent bookstore in town called Toad Hall, and the owner, Barbara Thomas, knew that I was looking for ways to connect with other children’s book writers. She handed me a flier she had received for a meeting in College Station that evening. I called my husband and together we drove two hours to attend my very first SCBWI meeting. At the time I had no idea what those letters meant, but I knew I was impressed and excited by the people in the room that day. There were seven or eight writers, there was a table piled high with publishing guidelines and samples from all sorts of children’s magazines, and the meeting was presided over by the Brazos Valley Regional Advisor at the time, Kathi Appelt. So did you come home and start a chapter right away? Not exactly. Austin was part of the San Antonio chapter of SCBWI at the time. I felt like that was a long way to drive for monthly meetings, and I was sure we could find enough writers to support our own chapter, but I wasn’t sure if I wanted to go through the hassle of getting permission to do this from national SCBWI. I still didn’t understand who exactly they were or why they were so great. Kathi Appelt was a huge help in steering the course, writing letters to national, encouraging them to give us a chance, and explaining to me why SCBWI really was the way to go. But finally, you saw the light, right? That’s right. The more I looked into the national SCBWI organization, the more I realized how professional they were, and what a great resource and network they were for writers. After a few letters back and forth with national, we were granted permission to have our own chapter right here in Austin. I called my parents and told them I had some exciting news. I think they assumed I was pregnant, so when I bounded in the door proclaiming that I was starting an Austin chapter of the SCBWI, I had some explaining to do! Where did you have your first meeting? We met in the front room of Toad Hall. Anne Bustard, Barbara Thomas, Vivian Montgomery of the San Antonio chapter, and the Austin Writer’s League provided names of people in Austin interested in writing for children, and I sent out about 200 postcards. That first meeting, the room was so full, people were sitting on the floor and pushed up against the bookcases. I was excited, and a little taken aback, at the number of people who lived so close that wanted to write for children. If there were this many in Austin, how many were there everywhere else? A lot, it turns out! That initial enthusiasm fueled monthly meetings, critique groups, a newsletter, and with some seed money from national SCBWI, we had our first conference. 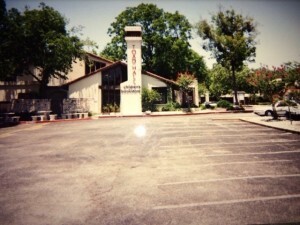 We were a thriving community from the very beginning! Yes, our first conference was April 13, 1996. We met at Riverbend Church from 8:30-4:30 and there were no breakouts, just four keynotes. Our speakers were editor Simone Kaplan with Henry Holt, author/illustrator Jackie Rogers, author Pam Zollman, and author Kathi Appelt. Our conferences have grown a lot over twenty years, into a two-day affair with dinners and breakouts and critiques and pitches and portfolio reviews and an auction . . . I am so proud of what we’ve become! And then we kept going. We had monthly meetings for a long time in libraries around town. I got pregnant and had a baby. Our newsletter was on paper and mailed monthly. That was back when you had to lick stamps; they weren’t stickers. I have vivid memories of setting Alayna, my firstborn who was then a toddler, up on the counter at the post office so she could help me lick stamps for all of those 200 newsletters! 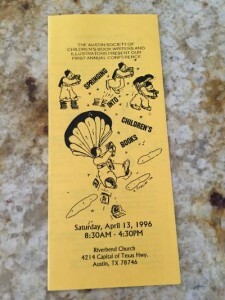 The brochure for the first conference by Austin SCBWI. And your only assistant was a toddler? No way! We had tons of support from the very beginning. I’m afraid to name names in case I forget somebody important, but we had help in every aspect of our chapter. Someone formatted the newsletter, some people wrote articles, members helped get speakers for meetings and conferences, and word spread fast. If you ever have a chance to volunteer, do it! You might think it will take away from your writing/illustrating time, but you’ll make it up in spades with the relationships you make, the craft you learn, and the contacts gained along the way. 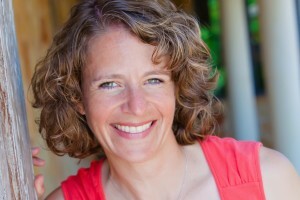 Writer Bio: Meredith Davis has a husband, three kids, two dogs, one hedgehog, and assorted fish. She writes middle grade and picture book fiction, and is represented by Alyssa Eisner Henkin of Trident Media. If she could invite three people to dinner it would be you, you, and you, and we’d all eat nachos and be happy.